I got the local grocery stores weekly add in an email this morning and they have "pork temple cutlet" in there for $2.99/lb. I had to Google them to see exactly what they are, and not surprisingly they are a part of the "jowl/shoulder" cut and are supposedly pretty good(?). Anyone have any tried and true recipes for this interesting new (to me) cut of meat? I'm afraid you're not going to get much help on this one... If you come up with a recipe you like, please post it in the Pork Recipes forum. At least tell us how you ended up cooking it. I've found that this is just a new (fancy?) name for jowls Several sites told me this. I have no experience with this, just what I read now. 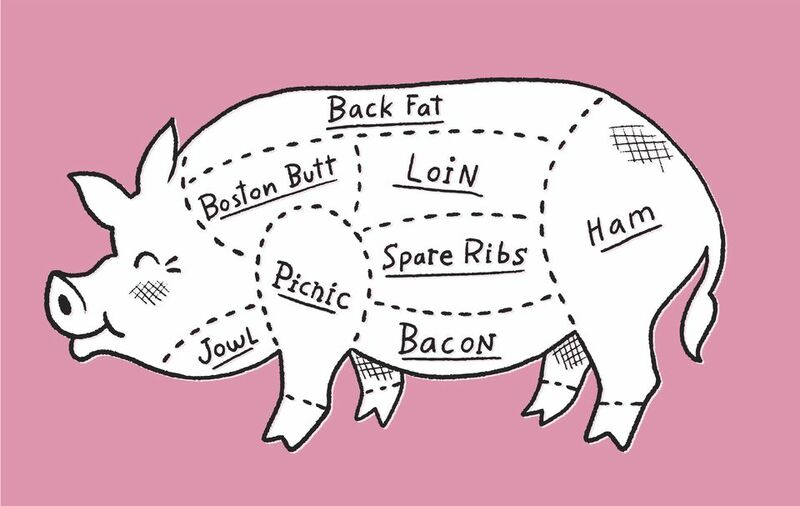 I did some digging since jowl meat doesn't sound right for cutlets, it's much more fatty, like pork belly. My findings are that it comes from above the jowls, pretty much the temple area. Last edited by Bob Correll; 02-18-2019 at 05:14 PM. Prolly why we don't see them alot is just like a chuck eye steak is only two to a moo, temple cutlets are also two to a oink.